Jeanetta Calhoun Mish is a scholar, poet, and prose writer who started her academic career at Wewoka Head Start with Mrs. Lucille and in kindergarten with Mrs. Dunlap. Calhoun Mish has said her love of reading and writing was fostered by Wewoka teachers Mrs. Carolina, Mr. Dedmon, and Mr. Shivers. She completed her Ph.D. in American Literature at OU in 2009. Her most recent books are 'Oklahomeland: Essays' (Lamar University Press, 2015) and a poetry collection,'What I Learned at the War' (West End Press, 2016). Due to the popularity of our January-February sessions, the Seminole Nation Museum has approved hosting a second round of Seminole history and culture classes beginning Saturday, March 16, 2019. The free classes, which are open to the public, will be conducted Saturdays at the museum and will run from March 16 through April 20. The course will present the genesis of the Seminole people and their origins as Mvskoke mound builders. We will examine their evolution from one of the “Five Tribes” of the Southeast to a modern, federally-recognized Native government. The course will look at the unique culture and colorful history of the Seminole people and how, after almost two centuries of acculturation, they have retained their traditional life-ways in balance with contemporary American society. This story of tragedy to triumph is Part One of a two-part series. The second course of classes are set for fall 2019. Any interested individuals are invited to attend. Again, the class is free and open to the public. Due to a limited class size of twenty (20), registration is required. Please contact the museum at 405/257-5580 during business hours, or via e-mail at [email protected] to sign up. 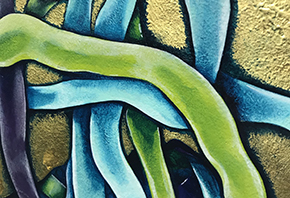 The Seminole Nation Museum is pleased to announce it will host the new art exhibition, "Altars of Reconciliation" this fall. Dates and events will be announced soon. 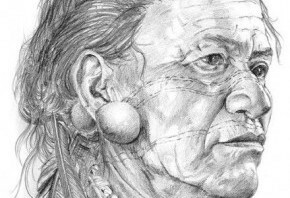 The exhibition will feature works by artists Bobby Martin (Muscogee), Erin Shaw (Chickasaw/Choctaw), and Tony Tiger (Seminole/Muscogee/Sac&Fox). Richard Ellwanger, Executive Director of the Seminole Nation Museum, recently returned from the nation's capital where he took part in a national advocacy day for museums. Sponsored by the American Alliance of Museums (AAM), Advocacy Day brings together over 300 museum professionals, administrators, board members, and volunteers to unite their voices in support of issues important to museums. Ellwanger was part of a delegation sponsored by the Oklahoma Museums Association (OMA), which also consisted of OMA Executive Director Brenda Granger and past-president Bill Bryans. 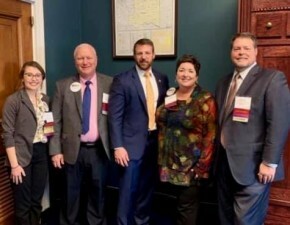 The group spent five days in Washington educating themselves on advocacy issues, networking with museum leaders from across the US, and meeting with all seven of Oklahoma's congressional offices. Ellwanger, who has been a member of OMA's board of directors since 2012, was recently elected vice-president of the organization. OMA is a state-wide nonprofit that assists Oklahoma museums in their efforts to educate, inform, and entertain the public. For more information about the American Alliance of Museums or Advocacy Day, please visit: www.aam-us.org. For more information about the Oklahoma Museums Association, please visit: www.okmuseums.org. 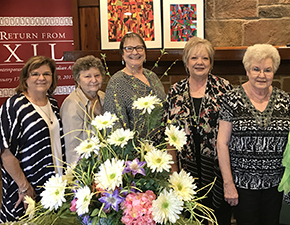 Thursday, April 18 Wewoka’s Daisy Unit Garden Club invites the public to their annual “April Shower” fundraiser for the Seminole Nation Museum. The come-and-go reception will be held from 11 a.m. to 2 p.m. at the museum, located at 524 S. Wewoka Ave. Everyone is invited to attend and participate in the fun. Funds raised for 2019 will go toward funding restoration and renovation work on the museum’s historic WPA building. Projects include the installation of new exterior LED streetlamps, replacement of damaged exterior lighting fixtures, and the much-needed replacement of rotten window frames and sills throughout the building. Those wishing to make non-cash gifts are welcome to participate, as well. Each year the museum staff and the Daisy Unit Garden Club emphasize the axiom, “Small gifts make a BIG difference.” The museum asks participants to donate office supplies and operational goods so membership dollars and endowment funds can go toward exhibits and capital improvements. Items on the Museum’s wish list include: postage stamps, paper towels, cleaning supplies, bathroom tissue, garage bags and copy paper. The “April Shower” is always a fun, rewarding, delightful experience. Bring your friends to the Seminole Nation Museum on April 11 for fellowship and snacks with the Daisy Unit Garden Club and help support the museum. 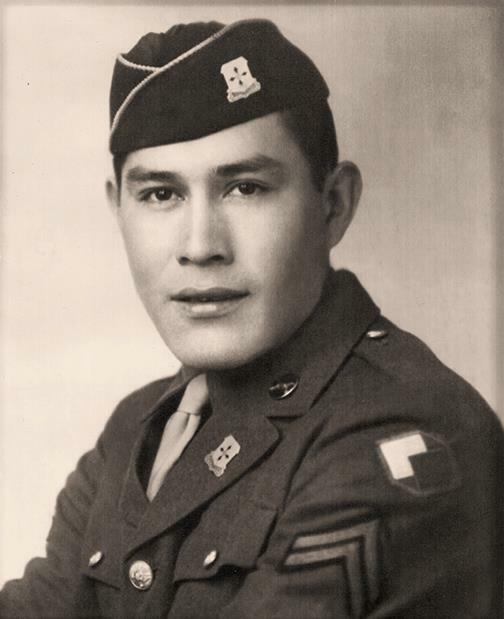 More information is available by contacting the museum at 405-257-5580 or via email at [email protected] or see the link below. The Seminole Nation Museum documents and interprets the history and culture of the Seminole Nation of Oklahoma and the people and events that make its capital, Wewoka, one of the most historically significant and culturally diverse communities in Oklahoma. Through the use of select artifacts, historic photographs and interpretive exhibits, the events and stories that shaped the home of the Seminoles for more than a century are chronicled in a captivating, educational and enlightening experience.